Digital PS4 version reviewed. Review copy was provided by the publisher. The crunchy metal guitars and screaming zombie faces that greet the player upon loading 'Killing Floor 2' somewhat betray the game's true nature; while these things are about as over-the-top as they get, the actual process of playing is decidedly minimalist. 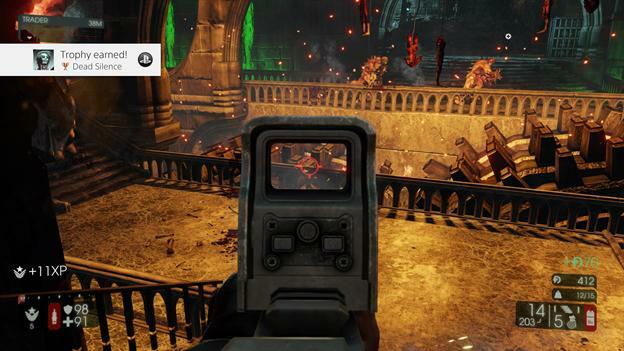 This is a wave-based cooperative shooter with just two modes, 10 or so maps and a handful of angry Zeds (read: zombies). In the game's main draw, "Survival," the player's goal is to take out wave after wave of enemies, gradually building up a stack of cash to purchase new gear — which will be vital in future battles against tougher, longer waves and massive boss characters. Gameplay follows a basic flow: mow down a wave and collect as much cash as possible, then hustle over to a special shopping pod to upgrade gear; rinse and repeat until the final boss battle (or until the entire team is brought down). I have to admit, my initial surprise at just how basic the gameplay really is quickly turned into delight at its simple arcade action. Gunplay has been optimized for consoles, with a small bit of aim assist helping make up for the controller's lack of accuracy — it feels absolutely fantastic. And thanks to speedy characters running at a consistent framerate, the action is as fast and relentless as it should be. A small bit of depth is added in the form of "perks," which are essentially character classes that offer specific benefits to one or more parameters. For example, Berserkers specialize in close-combat weaponry; thus, they get a) a damage bonus for all close-range weapons and b) damage resistance since they need to get up close and personal where enemies can hurt them. On the other hand, my personal favorite — the Commando — uses automatic rifles, boasts a quicker reload speed and has the ability to see enemies' health bars. These perks make play different enough that it's worth trying each to see which one best fits a given player's personal style. In addition, the game offers some RPG-lite elements in that each perk can be upgraded to increase its benefits. This provides some incentive to keep playing more matches, as higher-level players are able to take on higher difficulties as a result (aiming, in the end, for the nightmarish "Hell on Earth"). This helps make up for a somewhat disappointing lack of variety in the mode overall; while I had plenty of fun taking down Zeds with teammates, I wish there had been a few more enemy types and especially boss monsters (there are only two!) to keep things fresh. The other gameplay mode, "VS. Survival," was a one-and-done sort of experience for me. Teams take turns switching between the Zeds and the humans, which seemed like a neat mechanic at first until I realized just how lame it is playing as the Zeds. Whenever you're on that side of the equation, the computer randomly picks an enemy type for you to play as, switching the camera to third-person. Unfortunately, with a few notable exceptions, the vast majority of the Zeds are clunky melee-type characters. Most of my time spent as these stumbling goons simply involved rushing into a room full of human characters, approaching them and mashing square ineffectually until my inevitable demise. It's not particularly fun — my recommendation for those interested in "Killing Floor 2" is to skip this mode entirely and stick with regular "Survival." As alluded to previously, 'Killing Floor 2' runs at a smooth 60 frames per second no matter what sort of madness is going on, an impressive feat for a console port — particularly one juggling this many players and enemies. 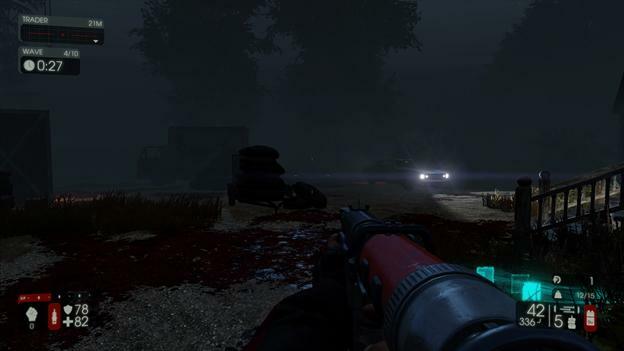 In addition, the environments are plenty varied and the Zed design is memorable enough to let players easily recognize which enemies present which threat. Special kudos have to go to wacky boss creations The Patriarch and Dr. Hans Volter — if only there were more of these big, horrifying threats to take down. I personally didn't recognize many of the artists on the 'Killing Floor 2' soundtrack, but that's just as well — its selection of generic metal tracks is generally lost under the cacophony of Zed screams and gunfire. Despite not being all that big a fan of the music selection, though, I must admit there's a certain appeal to the combination of chugging guitars and wailing zombies. Like the back-to-basics gameplay, the cheesy audio brings back memories of a simpler, goofier time in FPS history, and should make longtime fans of the genre nostalgic. I'm a bit torn on describing the replay factor of this game; at first, I found myself thinking the overall lack of gameplay variety would harm my desire to play more matches. But then I found myself starting another … and another … and another. As a fan of old-school, grind-heavy RPGs, I've got to admit there's some joy in mindless repetition for me — particularly when the carrot of character upgrades are dangled in my face. I'm sure some players won't be as enamored as I was chasing down higher-level perks, but those who do enjoy it won't be able to get enough of the goofy arcade action. 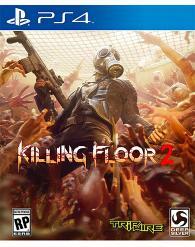 The title of 'Killing Floor 2' really says it all. 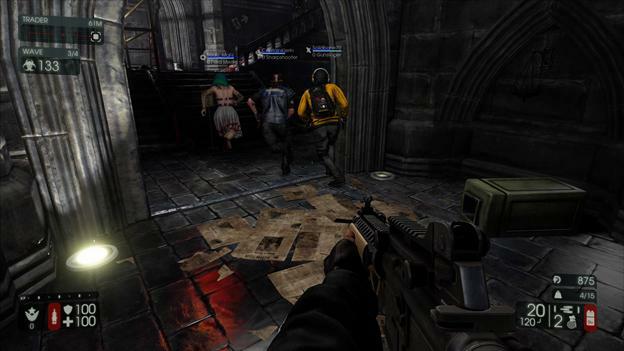 Tripwire Interactive brings the FPS back to its most primal level, creating a ludicrous arcade-style bloodbath in an era of deeper, more thoughtful narrative-driven shooters. That approach ultimately proves to be refreshing; while more variety would have pushed the game over the top into "truly great" territory, what 'Killing Floor 2' does offer is undeniably visceral entertainment. And while the wave-based action is plenty of fun on its own, the perks system kept me coming back to upgrade my character and face even deadlier threats.